One of Barrington Lake’s most prominent cleaning companies announces that they will continue supporting the charity Cleaning for a Reason in 2019. Barrington Lake, IL, United States - March 22, 2019 /MarketersMedia/ — One of Illinois’ most prominent and long lasting cleaning companies, Happy Maids has announced that the continued support to the charity Cleaning for a Reason is in their 2019 business plan. As many people are already aware, Cleaning for a Reason is a charity organization which connects cleaning companies with women who are undergoing cancer treatment, and are unable to clean their own homes. The cleaning companies clean their homes free of charge, so that they can focus on the most important battles of their lives. So far, as many as 1200 different cleaning companies all across the US and Canada have joined this organization, helping women fight cancer by doing what they do best – cleaning homes, and free of charge. In order to be eligible for this program, patients need to apply on the organization’s website, and a local cleaning company involved in the program will be sent to their address to clean their home. 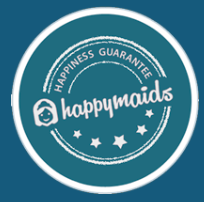 About Happy Maids – Founded in 1985, the company is a long-lasting cleaning company which serves Barrington Lake and other suburbs of Chicago. During its long and illustrious history, the company has earned the reputation and trust of many people in the area. Building a relationship with the community has worked great for the company, as much as 90% of all business the company has comes from returning customers.